How To Be Fabulous. : Comme a Lisbonne: Portuguese Pastries in Paris! 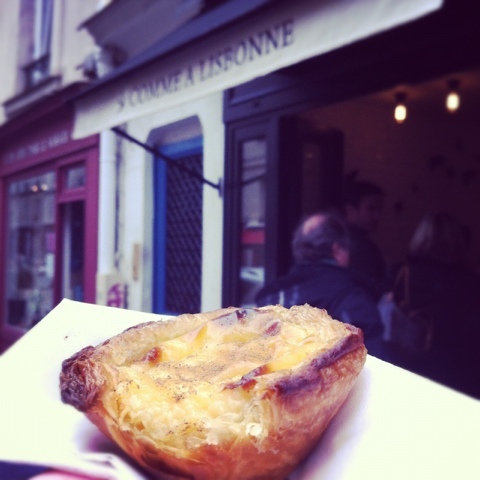 Comme a Lisbonne: Portuguese Pastries in Paris! This is a great little bakery and store centrally located in Le Marais area of Paris. The woman I met in the shop told me she is Portuguese, from Port, and was very friendly, speaking English, Portuguese or French, depending on her customer. There are always lines of people for the fresh baked Pasteis de Natas, which are a special Portuguese pastry, with a crust a bit crunchier than a croissant, and an egg custard filling, topped if you like with cinnamon. 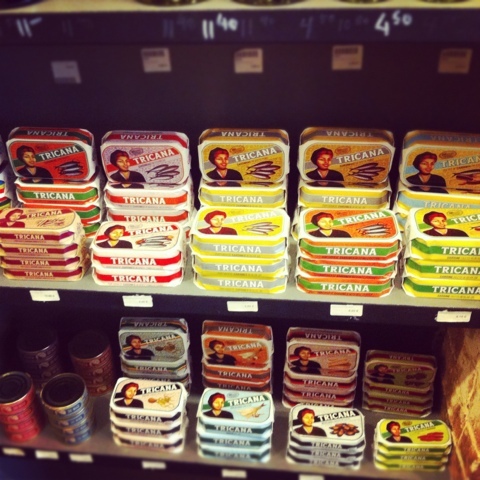 Inside the shop you can sit and have an espresso with your pastry, or browse the selection of Portuguese olive oils, tinned fish, and alcohols. 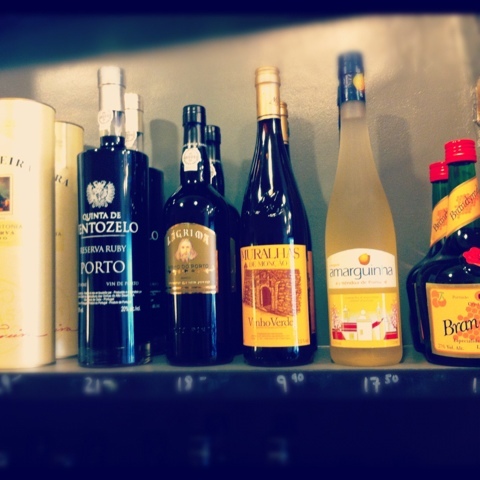 Everyone knows Port, but they also have Vinho Verde, a dry crisp white wine from the northwest region of Portugal called Minho, Amarguinha, a sweet almond liquor to have with dessert and coffee, and Brandymel, which is a digestif made from honey and Aguardente.